A big thank you to Elizabeth's Kitchen for holding the fort in September and October and for everyone who joined in with the challenge. 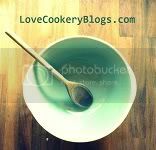 Here is her fantastic round up of Savoury left over dishes and Sweet left over dishes. At the end of the month I will do a roundup post and hopefully we'll all have more imaginative ways of using up the root vegetables of the season. I look forward to linking something up but are pumpkins considered root vegetables?